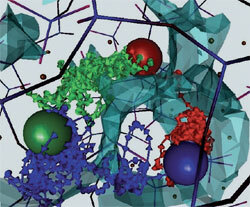 The Centre for Advanced Functional Materials and Devices has been developed to coordinate and undertake research into novel approaches to the development, characterisation and application of nano and macro materials in conjunction with computer modelling and visualisation techniques. The Centre will address priorities in the Welsh Assembly Government's 'Winning Wales' strategy for economic development by regular and deep engagement with the business community, both in Wales and internationally. The Centre for Advanced Functional Materials and Devices builds upon expertise at Aberystwyth and Bangor, including three new professors.